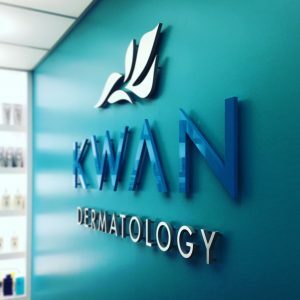 Flaunt your brand with creative, custom-made wall signs. 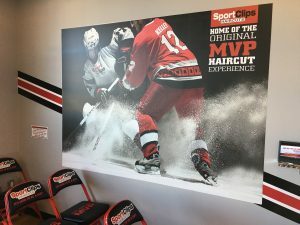 Your facility’s walls are the perfect blank canvas for artful advertising, and Made 2 Measure Signworks can give life to your business’s personality. Here at Made 2 Measure Signworks, wall signs come in all shapes and sizes, and we’re sure we have one that fits your business need and budget. We’ve got channel letters, flat signs, illuminated sign boxes, vinyl wall graphics, neon signs, and many more. For superior visibility even during the night time, you can choose to have lights in, on, or behind your signs. With wall signs, you get to choose how customers and potential customers perceive your brand and services. 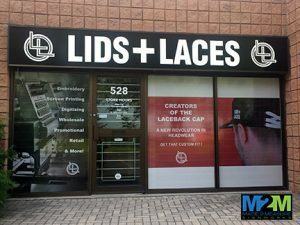 Made 2 Measure Signworks helps you choose the best wall panel sign for your building fascia or storefront. This means that you’ll be working with expert artists to come up with an attractive design that speaks to your brand. Fascia signs project a sense of longevity and permanence, giving your customers the assurance of your business’s stability. What better way to emphasize this than with durable building signs that can stand harsh weather. Made 2 Measure Signworks has access to an array of high-quality materials, and we fabricate our signs in-house to ensure the highest quality output. Another advantage to doing in-house sign fabrication is that we give you the flexibility for future expansion. You don’t have to tap third-party agencies when you need a change or an upgrade, Made 2 Measure Signworks can include that service in the package. 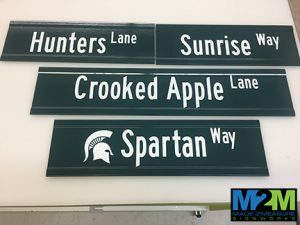 Made 2 Measure Signworks creates interior signs that help your customers find what they need and where they want to go. And because we do custom-made signs, we can make sure that your customers have a professional, cohesive experience inside your facility. Whether you need simple designs, decorative decals, digital message boards, or stand-off signs, we’ve got your signage needs covered. Our experience in the sign-making industry not only gives us knowledge in the aesthetics of signs, we’re also well equipped when it comes to legal technicalities of ADA-compliant wall signs. Made 2 Measure Signworks can design and install ADA signs that comply according to the government’s standards and requirements. 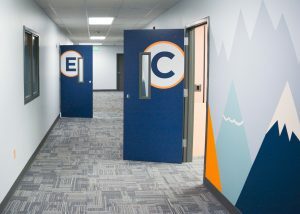 From design conceptualization to material choice to strategic placement to installation to maintenance, Made 2 Measure Signworks is ready to work with you during every step of the process. 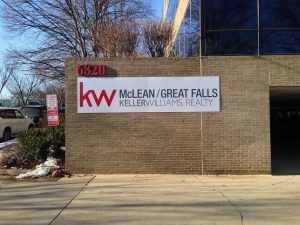 Curious on how wall signs can bring customers in and make them want to come back? Made 2 Measure Signworks and our team of signage specialist are excited to help you out. Have a chat with us about all the ways wall signs can improve your business. 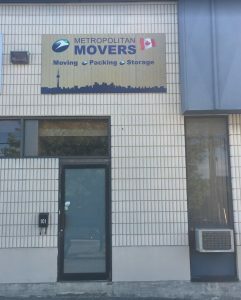 Call Made 2 Measure Signworks today at (647) 699-7654 for your Free Consultation with a Wall Signs Expert!